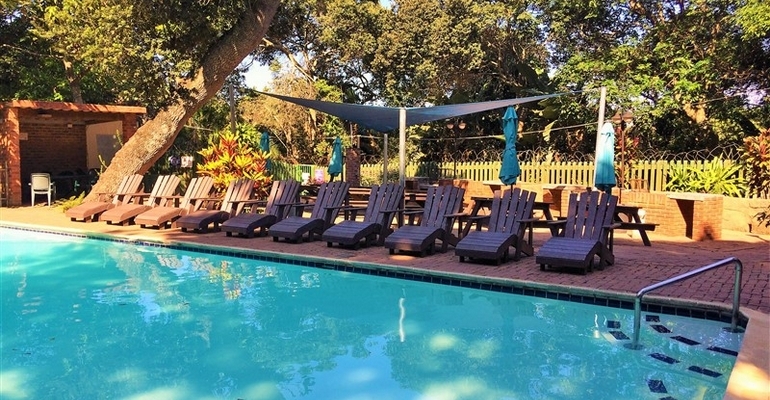 Situated in the quiet coastal town of Munster, lies Seaglen Dunes, a self-catering holiday resort perfectly positioned on a hilltop site surrounded by perfectly landscaped gardens, lush sub-tropical vegetation and long stretches of unspoilt beaches. The swimming pool creates a welcome reprieve from the humid coastal weather, and braai areas are ideally suited for social gatherings. For hours of fun filled activities there is also an entertainment and children’s play area, and other entertainment such as Putt Putt, Table Tennis, Ping Pong and a Pool Table. The occasional monkey strolls through the resort for a quick visit before retreating back to the surrounding trees, while surrounding areas such as the Wild Coast Sun Casino, Oribi Gorge, Margate and Mzamba Village provide hours of entertainment outside of the resort. With the neighbouring Umtamvuma Nature Reserve offering the visitors a spectacular array of wildlife and extravagant natural beauty. Putt Putt, Table tennis, Pool table, Ping pong table. Rates Starting from R525.00 per unit, per night. Seasonal rates apply, please contact us for a detailed quote. Regrettably no pets of any description are allowed due to the total prohibition contained in the Resort house rules. The total number of persons per chalet includes persons of all ages. Please bring own towels and toiletries as well as dishcloths and washing detergents.